This work by Mark Studio for Kgalagadi Collection wines is gorgeous! Designed as a collection of wines for a series of luxury guest camps in the region, we can see how having a few glasses of these wines could make a stay in the Kgalagadi even more spectacular! This entry was posted in Design, Illustration and tagged Design, Illustration, Kgalagadi Wines, Mark Studio, Packaging, Wine, Wine packaging on August 31, 2018 by stellenboschacademy. If you’re looking for some sleek, beautiful art direction you’ve come to the right place. This film for the new Nike Tech Pack Collection is such a great example of how a unified vision can come together. Taking inspiration from the futuristic feel of the clothes, this ad offers a well thought out colour palette and just the right amount of flourishes to really bring the feel of this collection to life. This entry was posted in Art Direction and tagged Art Direction, Film, Nike, Tech Pack Collection, Video on August 29, 2018 by stellenboschacademy. Alexander Coggin is an American photographer who plies his trade in London. We’re sharing his project, Untitled (Community Theatre), where he goes backstage at local community theatre productions near his home in Michigan and captures local kids taking part in the productions. It so strongly brings to mind the excitement, trepidation and energy of those early days when we did our time in the school play or other productions! Lovely! You can see more of Coggin’s work on his (very fun) website here. 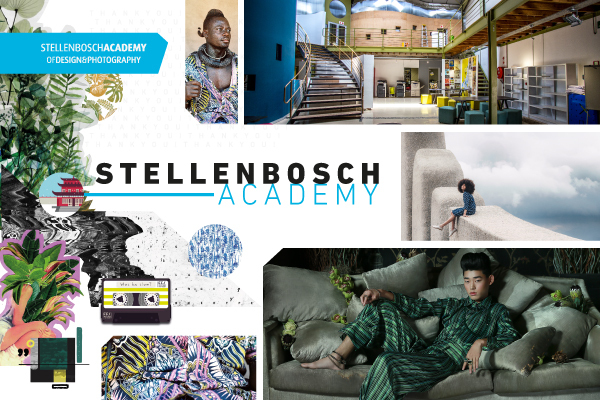 This entry was posted in Photography and tagged Alexander Coggin, photography, Theatre on August 27, 2018 by stellenboschacademy. This packaging design for KWV 30 year old brandy is something incredible. What a great piece of work by local design agency, Bravo Design, giving an exceptional liquor an exceptional design! Check out more of Bravo’s great work in the liquor and alcohol categories here. This entry was posted in Design and tagged Brandy, Bravo Design, Design, KWV, Liquor on August 24, 2018 by stellenboschacademy. Ailsa Johnson is an illustrator based in Tokyo, originally from Halifax in the UK. She graduated from the Edinburgh College of Art with both a BA and an MA and we have to admit – we’re in love with her work. With such a simple style, she is able to convey so much – the mark of a true illustrator! Check out more of her work below and visit her website over here. This entry was posted in Illustration and tagged Ailsa Johnson, Illustration, Japan on August 22, 2018 by stellenboschacademy. What a fun, interactive design/typography hybrid for Secret 7″. If you aren’t aware, Secret 7″ is a musical project once a year where artists release hard to find music on vinyl. It’s always accompanied by incredible feats of design and creativity and this multimedia project powered by Squarespace is one of the best we’ve seen. Users on the site can choose from seven different emotions, then use an online tool to create their own one-off piece of typographic art. What a great way to combine design, typography and multimedia all in one space! This entry was posted in Design, Multimedia and tagged Design, Multimedia, Secret 7, Typography on August 20, 2018 by stellenboschacademy.